Ballots for Maine’s Second Congressional District race await tabulation on November 6. It was the first congressional race in US history decided by ranked-choice voting. There are good reasons for the growing interest in ranked-choice voting. Under the plurality rule voting system predominant in the United States, each citizen votes for a single candidate, and the candidate with the most votes wins, even if far short of a majority. Thus, this year in Massachusetts, Lori Trahan won the Democratic primary in the Third District despite getting only 22 percent of the vote. Back in 2016, Donald Trump won the Republican primary in Arkansas with only 33 percent of the vote; two-thirds of Republicans preferred someone else. In fact, at least one poll at the time found Trump would have lost to either Marco Rubio or Ted Cruz in a one-on-one contest. Instead, they split the anti-Trump vote, handing him victory. 1. Ranking does not mean more work for voters. Critics say this approach demands more than usual of voters. It needn’t — a voter can rank just a single candidate, with the other candidates treated as tied for second place. Indeed, it might make voting easier in some cases. In our Arkansas example, anti-Trump voters had to guess whether backing Rubio or Cruz was the surer way of stopping Trump — and ended up miscoordinating. In a ranked-choice system, they would just rank Trump below Rubio and Cruz, and one of those two would win. 2. Voters will not be confused by the ranking system. Could Maine’s new ranked-choice voting change American elections? The state will be the first to use a ballot that lets voters rank their preferences. While ranking systems are a little complicated to explain, studies so far suggest voters have had little difficulty comprehending them. A 2009 survey in Minneapolis found that 95 percent of voters there thought the system was easy to understand. In the most extensive study to date, David Kimball, a political scientist at the University of Missouri-St. Louis, finds that places using ranked-choice systems see higher voter turnout than under the primary and runoff systems they replaced. 3. It does not throw the door open for unintended winners. Ranked-choice voting could result in electing a candidate ranked first by a small minority of voters. But this already happens under plurality rule, and probably more often than you might expect, as we saw in our Massachusetts and Arkansas primary examples. Ranking will not spark a huge jump in these incidents. 4. It will not overwhelm us with fringe candidates. Ranked-choice voting does give third-party candidates greater incentive to run. But that doesn’t mean it will consign us to the unruly world of European-style parliamentary republics. Michael Bloomberg, a centrist, has said he did not run as an independent in the 2016 presidential election because he would have split the center vote with Hillary Clinton, guaranteeing Trump’s election. Under a ranked-choice system, his candidacy would not have helped Trump; indeed, as a compromise between two poles, he might even have won. But only third-party candidates near the center, like Bloomberg, have much chance of capturing majority support and winning under ranked choice. Rather than fringe candidates, ranked-choice voting promotes moderate independents — perhaps not such a bad outcome in a polarized society. 5. It could work for presidential elections, with one big change. Ranked-choice voting reduces vote splitting within a state. But because of the Electoral College, the problem reemerges across states for presidential races. If ranked choice had been used in 2016, bringing Bloomberg into the race, he and Clinton might have split enough of the electoral vote so no one would have gotten the 270 votes needed for election. 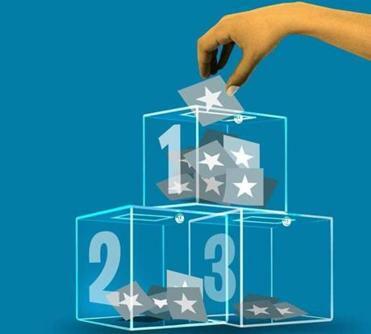 Thus, until the Electoral College is abolished (the National Popular Vote Interstate Compact is the best current prospect for that), introducing ranked-choice voting for presidential general elections is probably a mistake. Of course, this problem does not arise in congressional elections (and the approach has worked well for decades in Australian and Irish parliamentary elections). Ranked-choice voting is not an ideal election system (a famous discovery in election theory — the Arrow impossibility theorem — establishes that there is no such system). It is not even the best possible system — Partha Dasgupta and I have published a paper showing mathematically that that distinction belongs to a system called Condorcet voting. 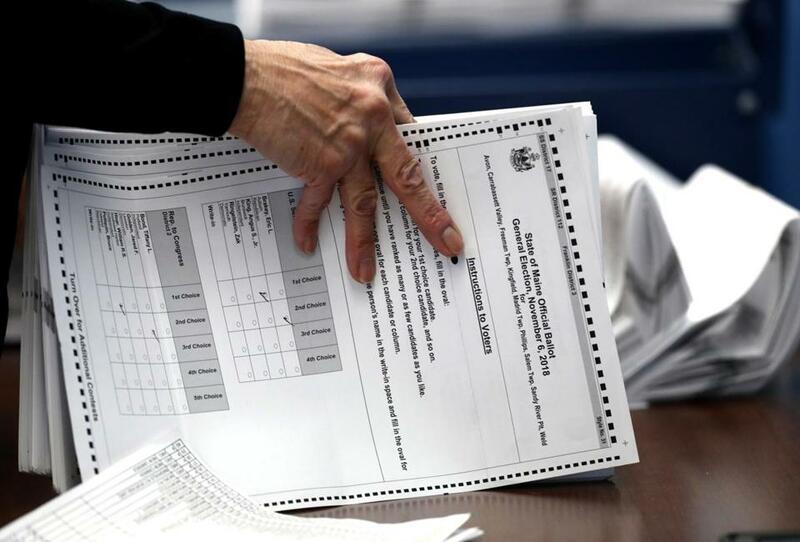 But by seeking a majority, ranked-choice voting better reflects voter preferences — it is more democratic — than the method currently used in Massachusetts and 48 other states. That’s why I want to see our state adopt it. Eric Maskin is a Nobel Prize-winning economist at Harvard University and a member of the advisory board of Voter Choice Massachusetts, a proponent of ranked-choice voting. Send comments to magazine@globe.com.